Sometimes there are moments in a person’s life when they stop and think, “how did I get here?” It doesn’t necessarily mean its a good or bad time in a person’s life, but a general reflection of the moments that have led up this moment in time. That is currently where I am now. Today I will be talking about how to succeed in high school/ college. Growing up, I’ve alway loved school and loved learning. However, as time went on and I entered middle school, I found myself annoyed with some circumstances that I was in. I still loved learning, I just found myself complaining a lot more about MUA. As I look back now I realize of lot of which is part of growing up; we become more inclined to resist authority and the guidelines imposed on us. It wasn’t until one day in history class that our class ranted to Br.Tony about Allah knows best and he replied to us saying, “you guys come to me to talk about the things you don’t like and what you need to change but you are telling the wrong person. If you want something to change, go change it yourselves.” It was in that moment that it clicked, I’ve complained and complained but never once did I even attempt to make any changes. So I tried it out, and again, and again and everytime things changed and were great. This realization really changed my perception of things and even had a positive impact on my grades, for I was no longer filling my head with everything wrong with MUA and rather focusing on my academics and the opportunities MUA held. In this state of mind I learned to be proactive. Setting goals is essential in high school because in order to carve a path, you must first have a destination. A general example of a goal could be getting straight A’s, being captain of the baseball time, or getting into the college of your choice. The trick is to set a goal while dreaming big but also realistically. Once you set your goal you can then carve your path and what smaller things you need to achieve before your big achievement. With any goal, you will find obstacles but you must remember to be proactive in overcoming them. Never think of yourself as limited, opportunity surrounds you. Try to go a little out of your way to seek opportunities that will be beneficial to you, or something that you are interested in. Join a club, get involved in extracurriculars, or seek out an internship. The experience and skills you will gain through these activities are invaluable. Don’t hesitate to speak to your counselor or a school administrator about incorporating these opportunities into your curriculum. You would be surprised of how supportive the MUA really is. The best way to organize your time and use it wisely is to have the mentality of “get things done now, so I can do what I want later.” For example, if you are planning to go to the movies on Thursday and you have an assignment due Friday, get it done on Wednesday or earlier so that you can enjoy your time without stressing the fact that you need to get something done. This absolutely does not mean skip and assignment from time to time. However, when feeling overworked take a break to refocus your mind. Take a walk or go to the mall or do anything you enjoy to clear your head. If you are using your time wisely and getting things done ahead of time, this should not be a problem. Remember to balance your school and personal life. All these concepts are all intertwined in each other and once you practice one it’s easier to follow all the rest. Remember that it goes back to your state of mind and of course Allah (SWT). Of course there are many more parts of the road to success in high school, but I hope you enjoyed this general overview of how I believe I got to where I am. Inshallah I will be attending Stevens Institute of Technology or NYU this fall and am pleased to say that I owe most of it all to my attending Miftaahul Uloom. 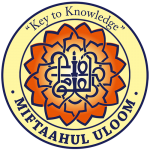 © Miftaahul Uloom Academy. All Rights Reserved. Designed & Developed by Main Tech Center.